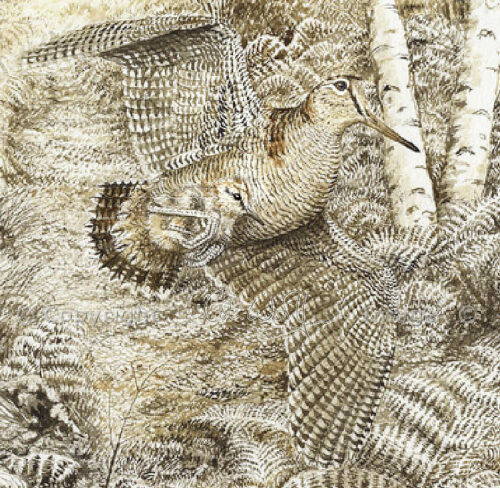 A new Single Limited Edition release of Colin’s latest sepia woodcock study, painted with a woodcock’s pin-feather. Set in a summer woodland, ‘The Secret’ shows a woodcock carrying its baby to safer ground. Colin is donating a percentage of all sales from this print to help Woodcock research. 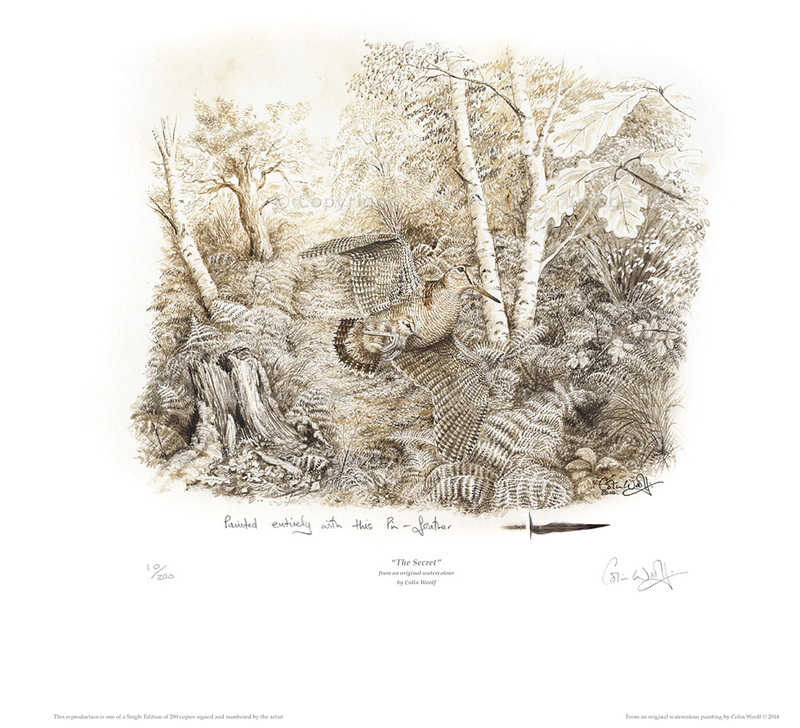 Single Limited Edition of 200 copies worldwide, each signed & numbered by the artist. Pencil remarques: For an extra £50, Colin will add original pencil sketches to the white border. Just select this option in the dropdown menu below. Select your choice of frame from the link below and add this to your cart. *These prices include UK postage only, please select the option, Free Post at checkout. Overseas customers please choose the overseas option from the dropdown menu and carriage will be calculated at checkout.